Two manufacturers of counterfeit print supplies have been taken out of business thanks to a collaboration between HP and the authorities in United Arab Emirates (UAE). 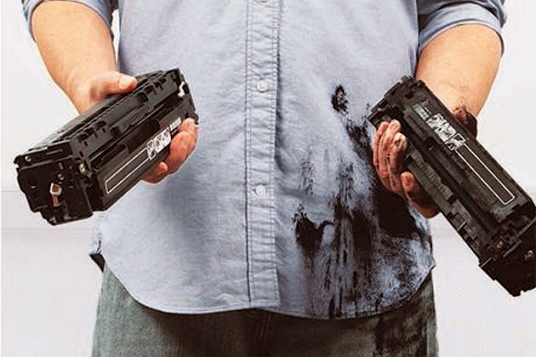 The operation – which took place between December 2017 and February 2018 – culminated in multiple raids on premises across the region, including outlet stores, clandestine workshops, and hidden warehouses, and resulted in the seizure of 35,400 illicit print components as well as 1,200 ready-for-sale counterfeit toner cartridges. The toner and printing supply market has been a perennial target for counterfeiters because prices for brand-name print consumables tend to be high and there is a temptation to cut recurring costs by seeking out lower-priced, discounted supplies. HP and other print supply manufacturers warn that using fake products can result in shoddy printing results, damage printers, and invalidate warranties, but spotting counterfeits is becoming increasingly difficult. The sophistication of illicit products has been on the rise in recent years, and counterfeiters have started to realise that pitching prices too low can make it easy to spot their activities, and are charging almost the same price as the genuine article. HP notes that across EMEA over the last five years, approximately 12 million counterfeits and components have been seized by local authorities, supported by the company. It says it has also conducted over 4,500 audits and inspections (CPPAs and CDIs) of partners’ stocks or suspicious deliveries for customers. “HP commends the cooperation and swift action of the Emirate of Dubai officials and their determination to apprehend and prosecute counterfeiters who break the law. We are proud of our continued work to bring counterfeiters to justice in the Middle East,” said Glenn Jones, director of HP’s global anti-counterfeit activities. The Imaging Supplies Coalition (ISC) – which brings together the top producers including HP, Epson, Brother, Canon, Lexmark and Xerox – has estimated that the market for counterfeit imaging supply products is more than $3bn a year. HP has introduced security seals on its products which include QR codes that can be authenticated using a smartphone app and tamper-evident features.